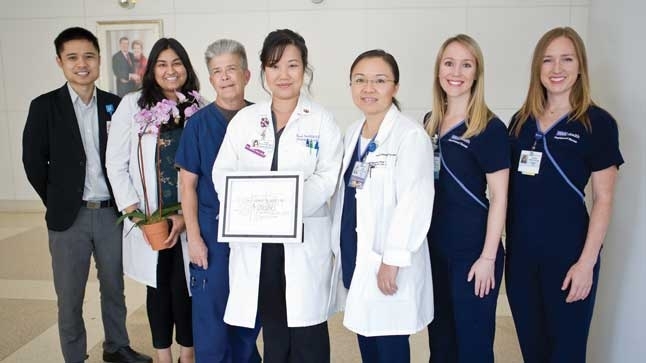 From left: Peter Phung, MD, MBA, Neha Agarwal, MD, Donna Smith, RN, Thanh Neville, MD, MSHS, Sherry Xu, MSN, RN, Kristen Hjelmhaug, RN, and Jessica Hainje, RN. Although the medical intensive care unit (MICU) at Ronald Reagan UCLA Medical Center is designed to save lives, it’s also where some patients spend their final moments. 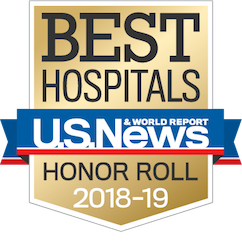 “We see adult patients of all ages who succumb to a variety of medical conditions, such as cancer, respiratory infections, heart disease and organ failure,” says Sherry Xu, MSN, RN, MICU nursing director, Ronald Reagan UCLA Medical Center. To improve the end-of-life experience for patients, loved ones and their care teams, the MICU introduced the 3 Wishes Project last December. “We elicit wishes from patients and their loved ones to celebrate and honor the lives of those who are dying, while supporting those who are grieving,” says Thanh Neville, MD, MSHS, a pulmonary and critical care physician who serves as the project’s principal investigator along with project leads Xu, Peter Phung, MD, MBA, palliative care physician, and Yuhan Kao, MSN, RN, clinical nurse specialist. 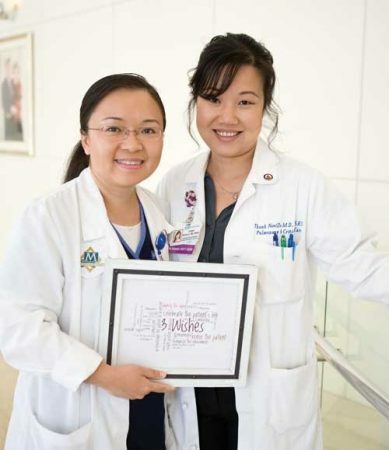 Sherry Xu, MSN, RN, (left) and Thanh Neville, MD, MSHS. The pilot program is currently funded by a grant from the California State University Institute for Palliative Care, and donations from VITAS Healthcare (a hospice and palliative services provider), the Katz Family Foundation and individual donors. To measure the program’s efficacy, the project team members conduct ongoing surveys with clinical staff and interview family members of deceased patients. Depending on the findings and availability of additional funding, the team hopes to expand the project to other hospital units in Westwood and Santa Monica.